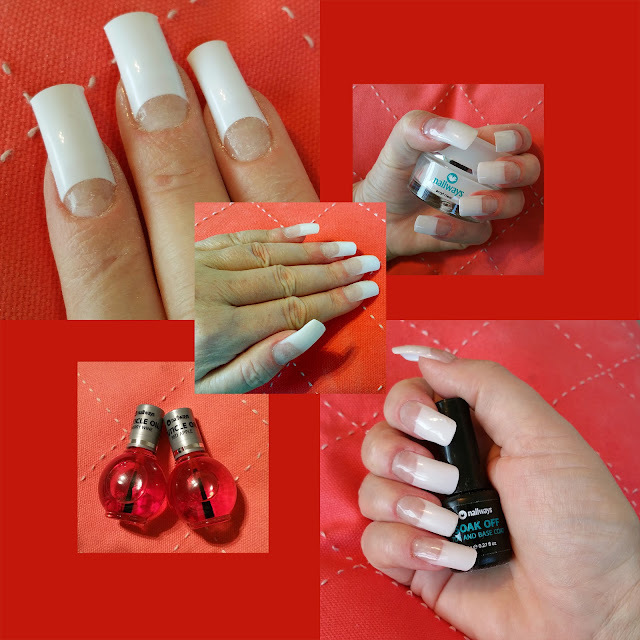 I started out with clean and prepared nails as in the mani with glass nails. 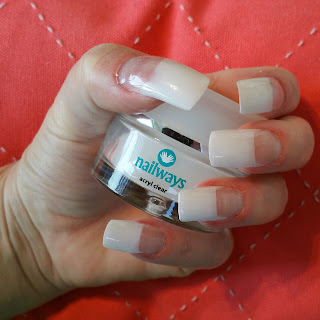 (www.nailwaysblog.nl/2015/09/how-to-make-clear-acrylic-nails.html) Now instead of using the clear tips I used the white tips for this nail art. First I made sure they fit perfectly by filling a little off from the edges. 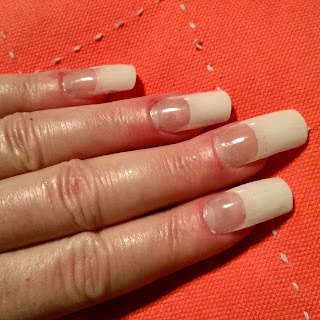 I glued them with the Nailways Nail Glue with brush. I put the end of the tip at the middle of the nail. 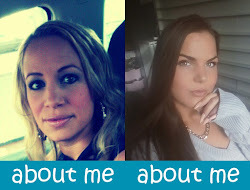 As you can see it looks kind of silly now :). After filling the thin tip ends it looked a lot more like a french manicure. 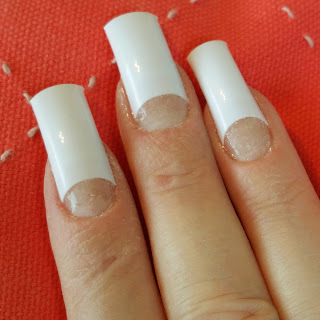 I put on acrylic powder like I have explained in the "how-to-make-clear-acrylic-nails". To ease my cuticles I used Nail- and Cuticle Oil - Cherry Wine. It's realy a nice treatment! To finish I put on a thin layer of the SOAK OFF - Top and Base Coat and let it cure under the UV lamp for 2 minutes. The result is a high shinny french mani and ready to go!